Has a tree got you stumped? Give Gibbs Tree Service in Hot Springs a call for a free consultation and price estimate. 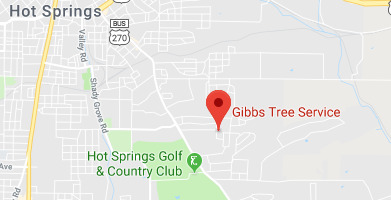 Gibbs Tree service has been serving Hot Springs and surrounding areas for over 10 years. Here at Gibbs Tree we strive for customer satisfaction, it's our number 1 goal next to caring for your trees. 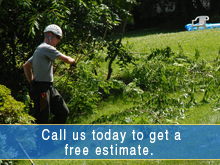 Gibbs Tree specializes in any kind of tree removal or trimming service, there is no job too large or too small. 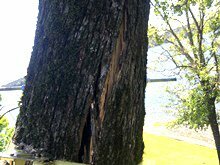 We offer spikeless tree climbing, cabling, storm damage prevention methods, deadwood removal, trimming, canopy raise, stump grinding, firewood, cat in a tree pet rescue, drone retrieval and free arborist consultation. Our "Ask Your Neighbor" referral program allows you to save money by referring us to friends, family, or neighbors upon completion of your service. We will gladly pay a 10 percent referral fee! Give Gibbs Tree Service in Hot Springs a call today and get a free consultation on any arborist related issues. Gibbs Tree hopes to get the chance to make you another satisfied customer. We are bonded and insured by the State of AR, and all our workers are highly trained. Contact Gibbs Tree Service today at 501-844-1196 to get more information about our tree services.